We emerged from the Reserva Ecologica at about 1 pm and needed a taxi to get home. We walked over a block to a likely street, and sure enough there were taxis everywhere, coming and going. We stood for about 10 minutes, the longest we’ve ever waited in Buenos Aires, even though cabs were all around us. Why? Cabbies come here to eat lunch and most of the twenty or more cabs around us were sitting in the café on the corner taking their break. You want a ride home? Not right now….. Yes, we did get a cab after a wait. I guess he was having lunch later on. 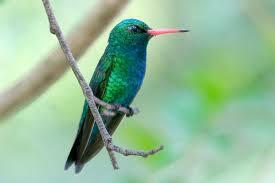 Bird-watching in the Reserva Ecologica was excellent, we saw at least six new birds. People walked, ran and bicycled by on the broad paths. The reserve has a great story, it was created from the dumping of construction debris in the Parana River off Buenos Aires. When the junk caught sediment and a range of plants grew, it attracted birds, turtles, lizards, snakes, and a colony of nutria. When the city decided to convert the abandoned port area into a new high rise neighborhood (Canary Wharf in London is mentioned as an example), the marshy zone was converted into an ecological reserve with great success. Definitely win-win. Now, if you could put your feet in the river without risk of cholera….. Details: Clear blue sky, very hot by noon (over 30 C). After 5 pm stiff wind for 2 hours that tapered off without any rain. 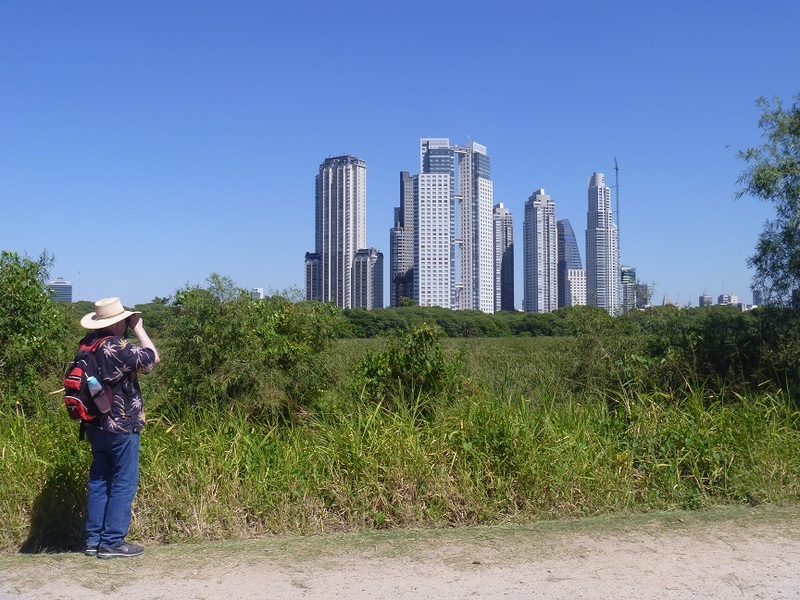 We visited the Reserva Ecologica Costanera Sur, Puerto Madero, Buenos Aires and saw a number of new birds. Some were difficult to identify because they are similar to many others such as a yellow breasted bird with a black beak and large head, much like a kingbird. Others were difficult to identify because they were females, like a grosbeak with a pale yellow breast, and gray/brown back.The distinctive species I managed to identify are below. I did not take the photos of the birds we saw (below). 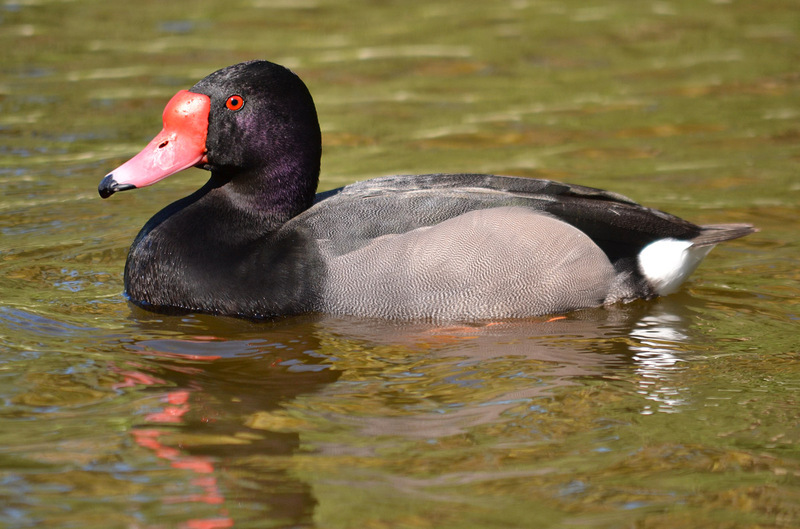 One of the best nature sites I’ve seen includes photos of birds at the Reserva, by people interested in the area. Thank you to everyone who took such great photos of the birds we saw. 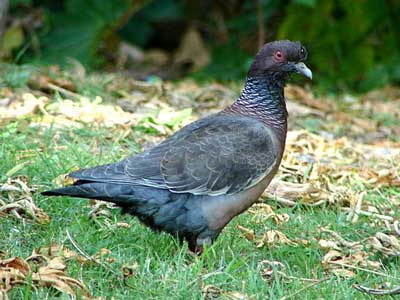 The site is available in both English and Spanish with scientific names as well. 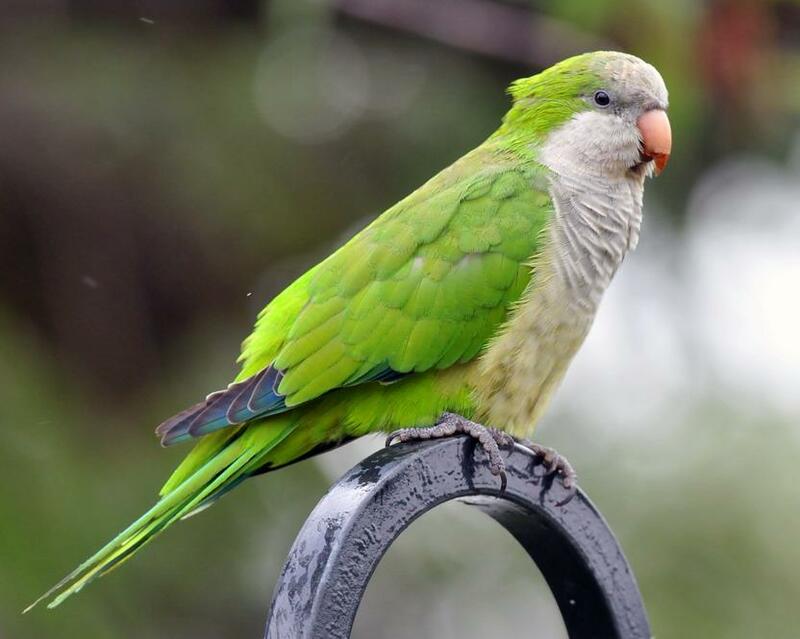 Monk parakeet/Cotorra, green with blue flight feathers, buff/white chest. Very noisy. Yellow-billed Cardinal/Cardenillo, red head, black throat, white body, this one landed on a bush holding a red berry in its beak. Glittering-bellied Emerald/Picaflor Comun, has an iridescent back, purple out of the sun, but turquoise/emerald green in sun, green throat, and long red downcurved beak, dark at the end. 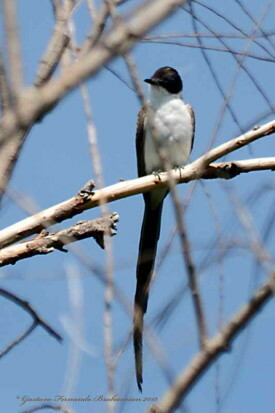 Fork-tailed flycatcher, which we also saw in the Mendoza area (Lujan de Cuyo). One last yellow headed bird, I identified as a yellow grassland finch/Jilguero dorado (Sicalis flaveola). We might also have seen a tacuarita azul. it looked like a nuthatch with a pale blue chest. Details: High temperature over 90 F. winds picked up around 6 pm but no rain.